Upgrade to house lighting in the Lyric Theatre, utilising GDS ArcSystem, custom step lights and ETC Paradigm control system. Working directly for the Lowry Centre on a project designed by Theatre Projects Consultants to relight the upper circle areas of the Lyric Theatre auditorium. Using LED technology allowed the upper circle areas to be lit to a degree that had not been previously possible due to the inaccessibility for ongoing maintenance. GDS ArcSystem 1 Cells were installed in these inaccessible locations with the drivers remotely located for maintenance (see inset photo). 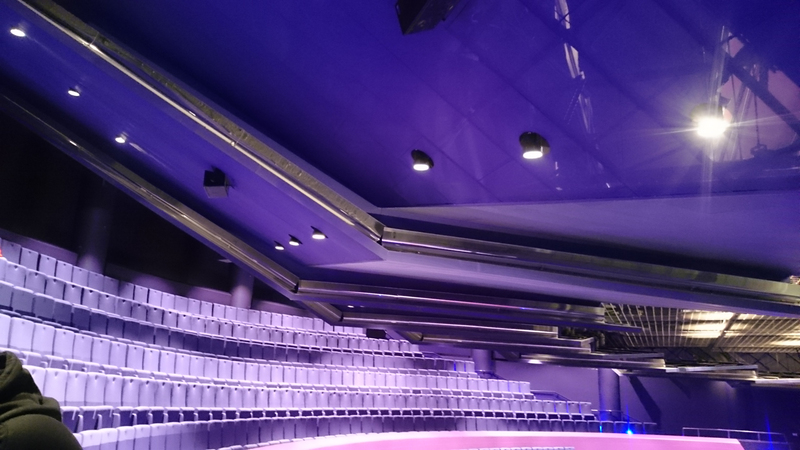 GDS ArcSystem 4 Cells were installed on the existing lighting gantries to enhance the lighting within the stalls areas. 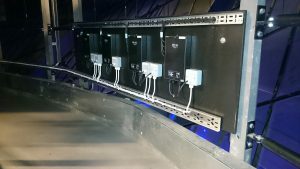 Push The Button designed step lights replaced the existing units throughout the auditorium with all systems being controlled by an extensive ETC Paradigm control system integrated into the venues existing infrastructure.